The “fetal burial” law, passed in 2017 by the Texas legislature, was part of expansive anti-choice restrictions signed into law by Republican Gov. 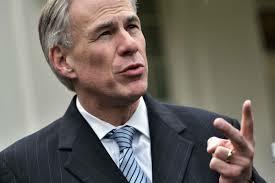 Greg Abbott. A Texas Republican-backed law forcing health-care providers to bury fetal tissue from an abortion or miscarriage could be headed to the Fifth U.S. Circuit Court of Appeals after a judge on Wednesday ruled against the law favored by anti-choice activists. U.S. District Judge David Ezra ruled on Wednesday that the law created “substantial obstacles” for people seeking abortion services and abortion clinics, while providing “absolutely no health benefit in return,” the Houston Chroniclereported. The “fetal burial” law, passed in 2017 by the Republican-held Texas legislature, was part of expansive anti-choice restrictionssigned into law by Gov. Greg Abbott (R). The measures were considered a priority for Texas Right to Life, the state’s powerful anti-choice lobby. The anti-choice omnibus law also targeted the common dilation and evacuation (D and E) abortion procedure. The Center for Reproductive Rights and the Lawyering Project on behalf of Whole Woman’s Health and Whole Woman’s Health Alliance challenged the Texas law in court. Forcing people to bury fetal remains could add up to $2,000 to the cost of abortion care, according to the Funeral Consumers Alliance of Texas, as the Austin Chronicle reported. A federal judge in January 2017 blocked enforcement of the so-called fetal burial provision after it was introduced by state officials as a rule, before lawmakers took up the issue. Judge Sam Sparks deemed the anti-choice measure an “undue burden” on access to abortion care. “It seems unlikely DSHS’s professed purpose is a valid state interest and not a pretext for restricting abortion access,” Sparks wrote in his decision. A federal district court in January 2018 again blocked the measure from taking effect. Wait until the GOP finishes the court-packing. This law will be back.